These are two quite interesting, and especially regarding Raspberry Pi, cheap systems that I suppose should be able to run Meteohub ? Hope there will be some support for it! Unfortunately, the raspberry guys are much better in pushing the hype than in delivering anything at all. but it will take at least one more month until anything will be in my hands. reasonable housing and a power supply is also not visible. This all is very unprofessional and overhyped. However, I will have a try on the PCB - when it will finally arrive. All in all a great idea but so badly organized... what a pitty. admin wrote: All in all a great idea but so badly organized... what a pitty. Has the admin received his Raspberry Pi? I'm interested in trying Raspberry PI as well. I've seen some interesting posts on DSLReports about guys running Asterisk on it and they're very impressed with it. I agree with Admin about the lack of a suitable enclosure, but I can be resourceful there. uhf wrote: I agree with Admin about the lack of a suitable enclosure, but I can be resourceful there. Nope, You have a huge choice of different cases. And the new revision has mounting holes too. I have a raspi and use it to time with wview. is actually quite good, but i would like to switch to meteohub. again I do not like to buy hardware hope therefore that an implementation will come. Is there any news on the raspi port? Or has this been dropped in favor of the (more expensive and less available) MiniX? Yes, Meteohub port to the RPI is on hold. BTW, your comment about availabilty of RPI is not what the rs-components website does tell me. Still long delays on the RPI side. admin wrote: Yes, Meteohub port to the RPI is on hold. That sounds a bit more positive I had some offline discussions. I think we have to respect his roadmap. And as soon as the ARM port is stable there is some hope to run it on inofficial hardware. Also my Alix was never officially supported. And maybe the A10/A13 could be indeed a good platform. The MiniX is not the badest choice and there are several other boards with this chip available. I do not need wlan and i do not like the need for an USB-Hub on this device. Personally I like the bulgarian stuff from https://www.olimex.com/Products/OLinuXino/A13/ they improved the Arduino too, especially in terms of power consumption. And because it is nano-ITX there should be some cases available too. BTW: maybe if somebody sponsors a RaspberryPi to meteohub...? 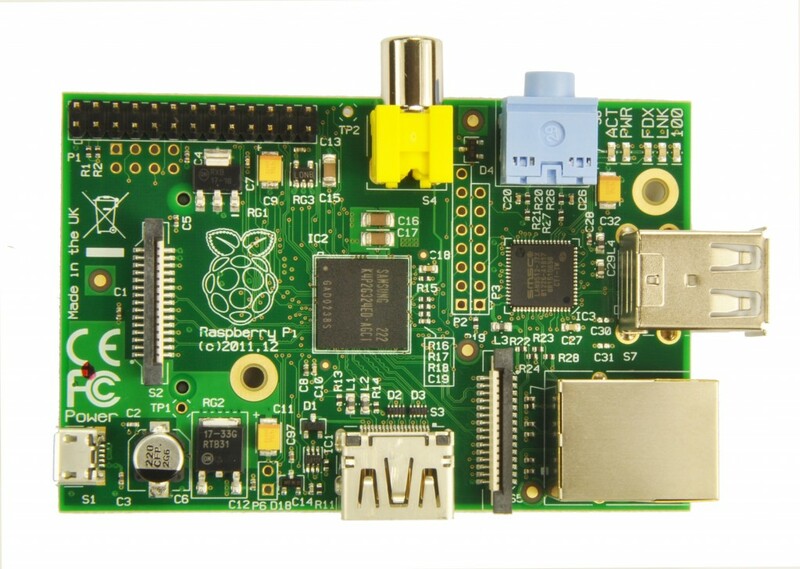 read the post from 02.aug: admin have a raspberry pi now. If you are interested in benchmarks, this might be a good reading/listening. just another PCB layout) and RPI are showing how large the performance gap is.